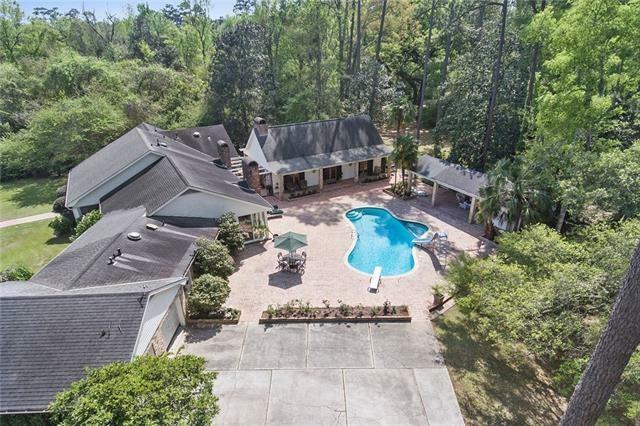 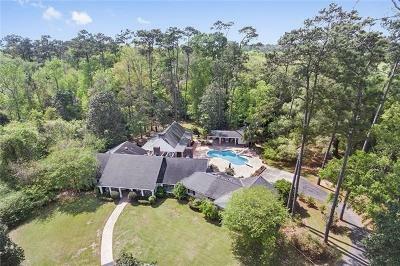 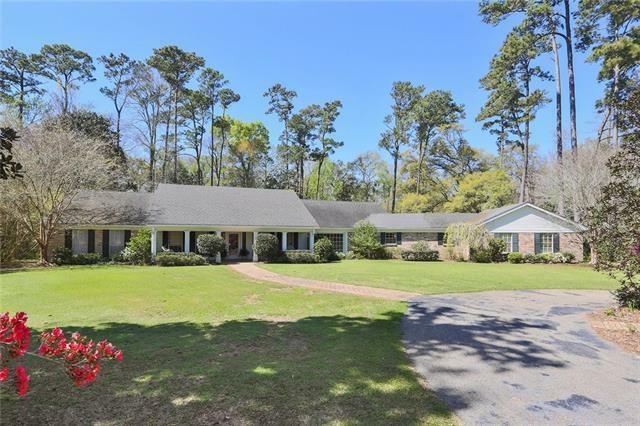 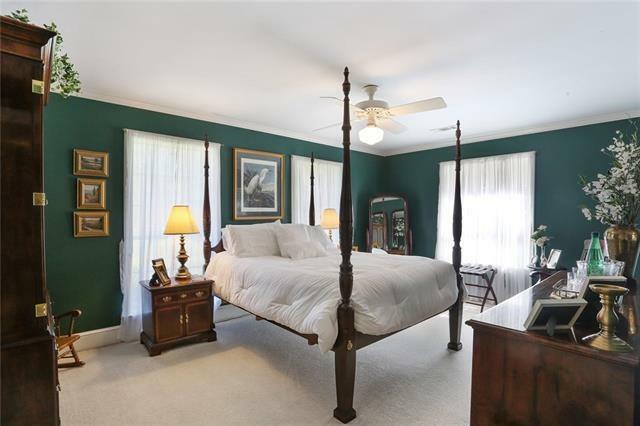 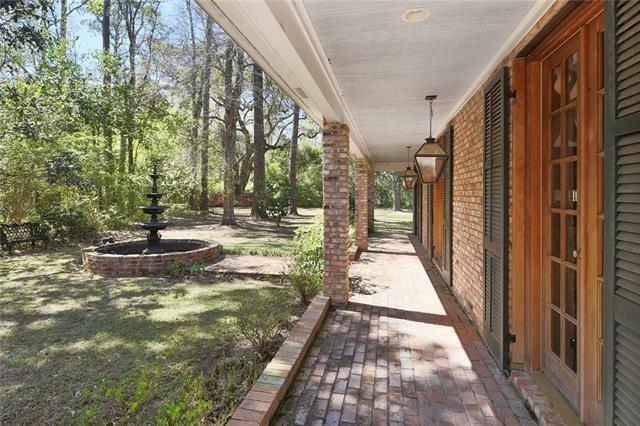 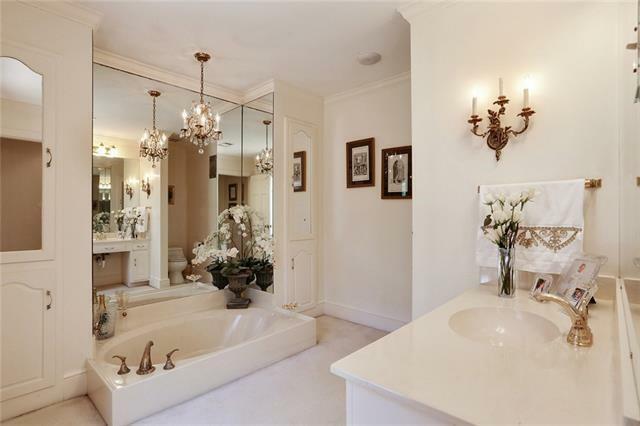 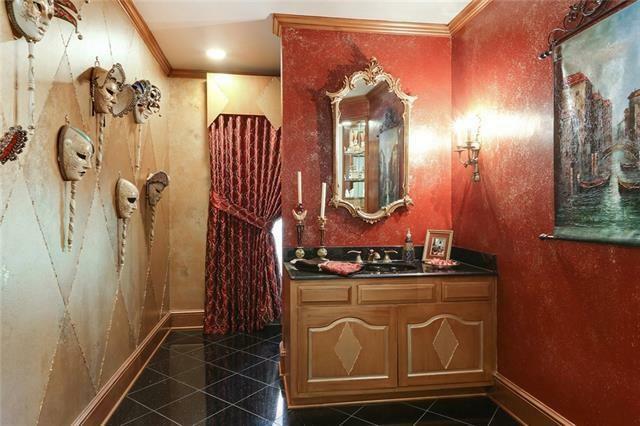 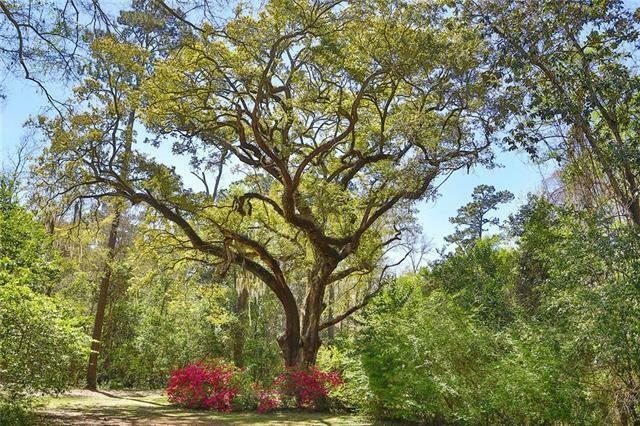 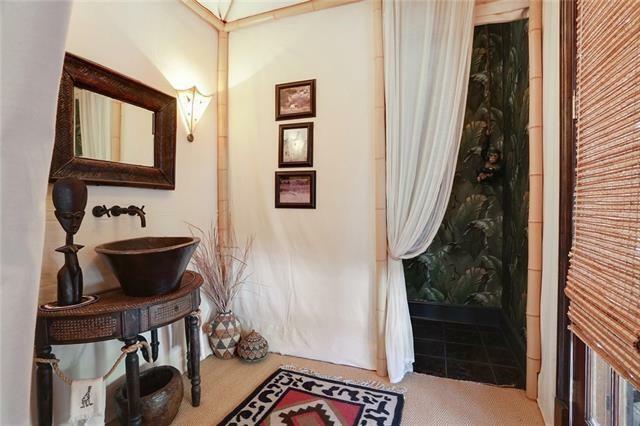 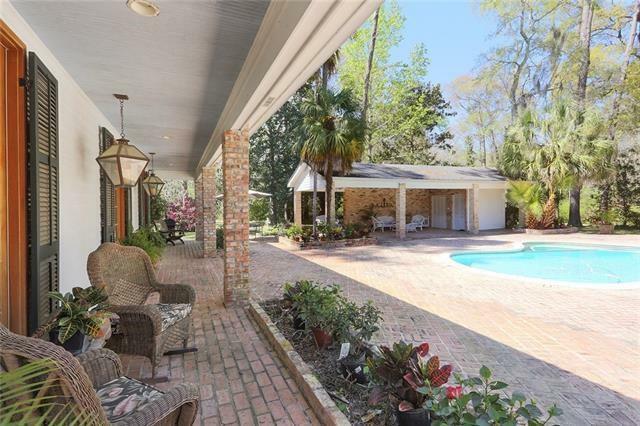 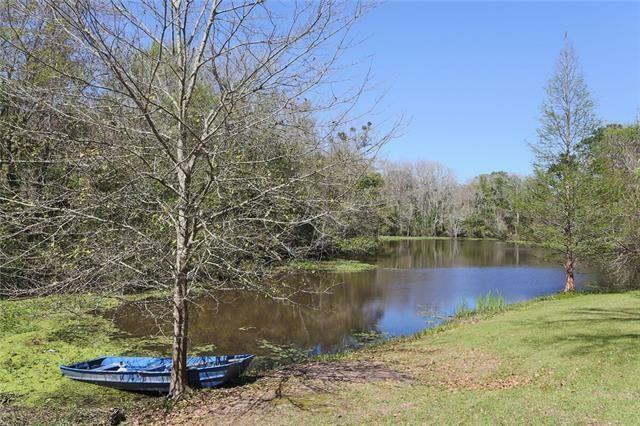 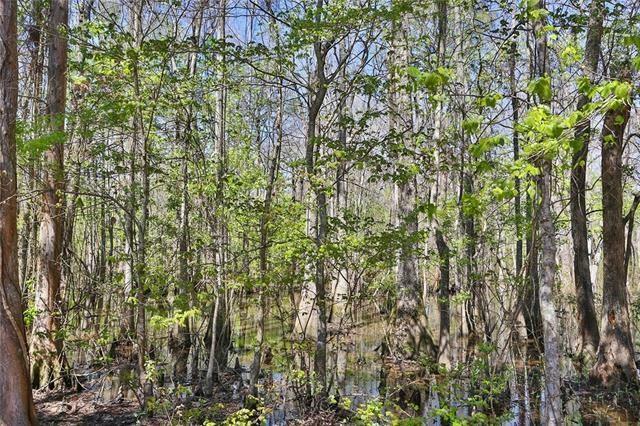 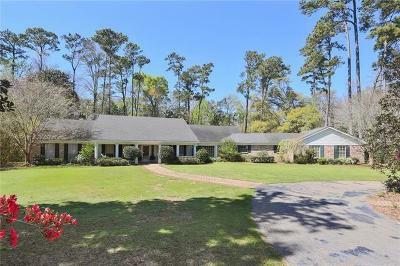 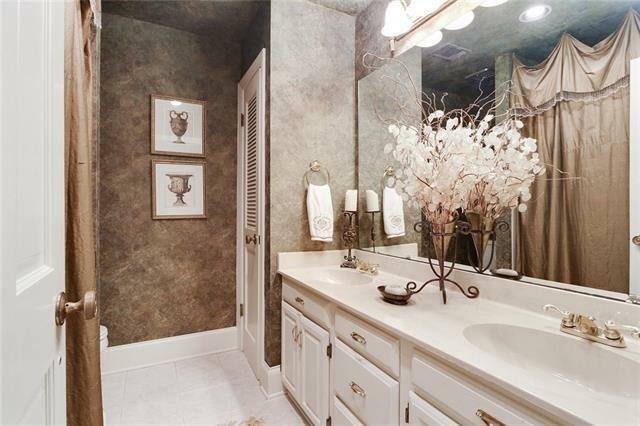 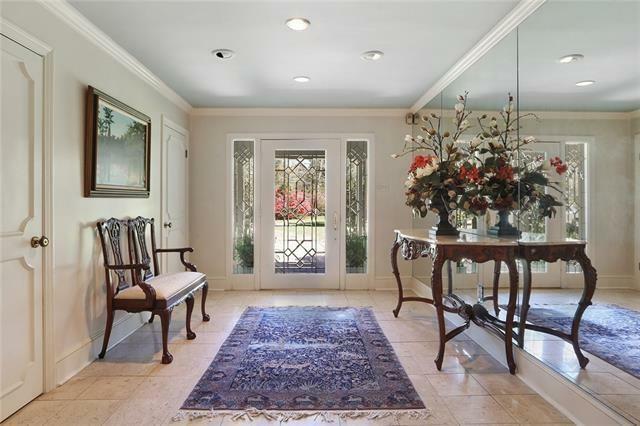 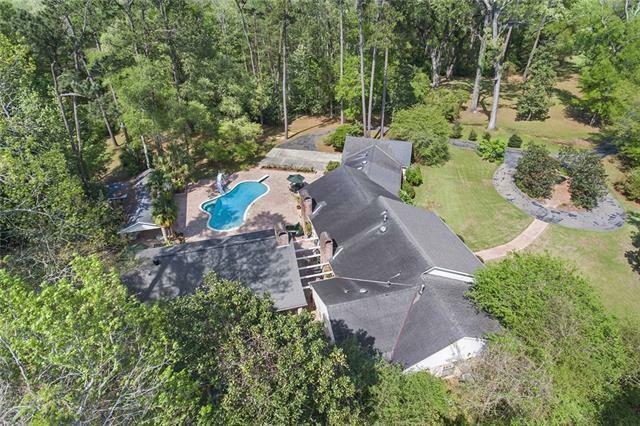 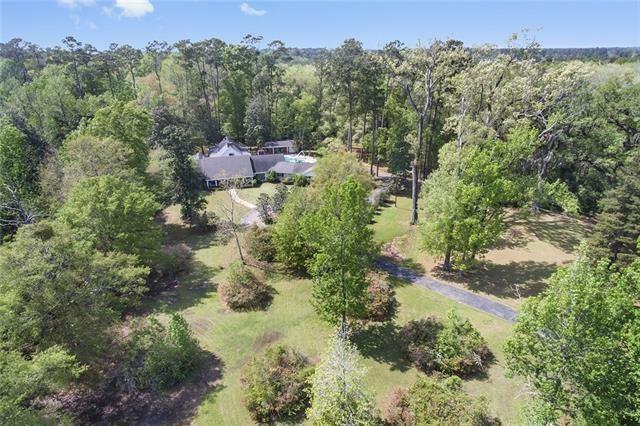 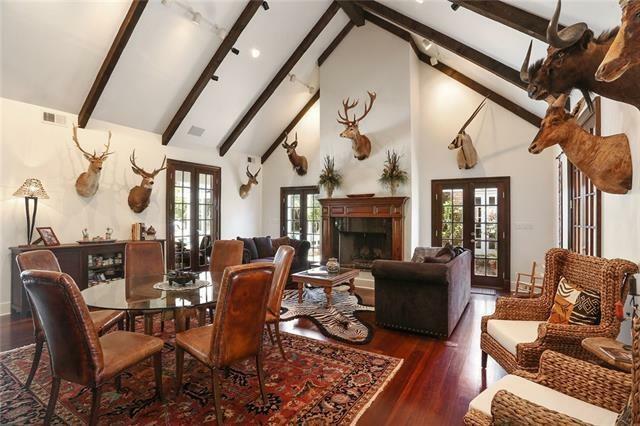 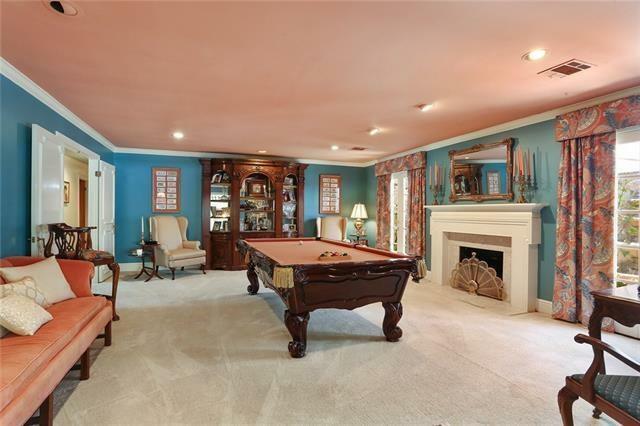 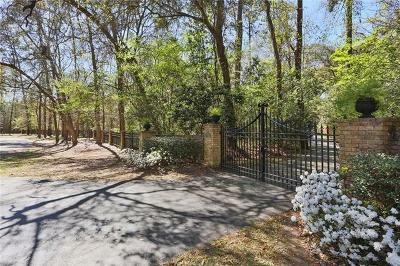 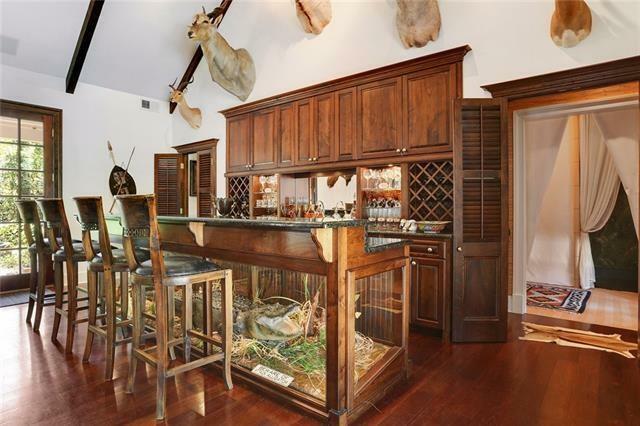 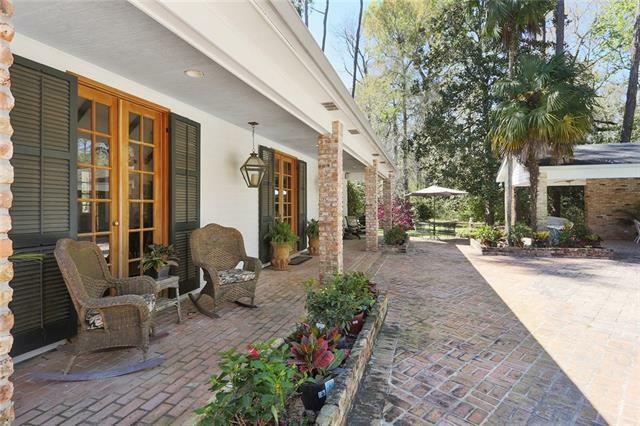 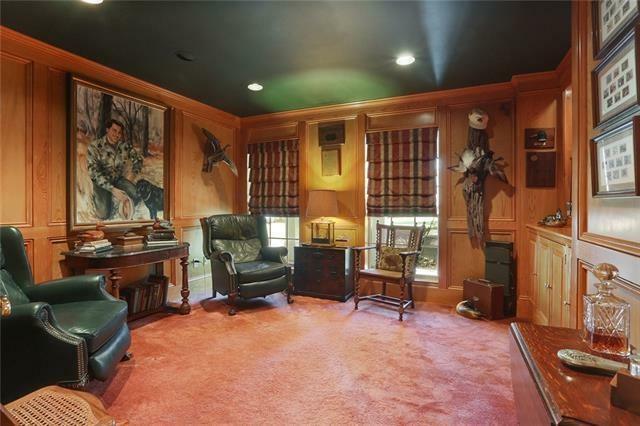 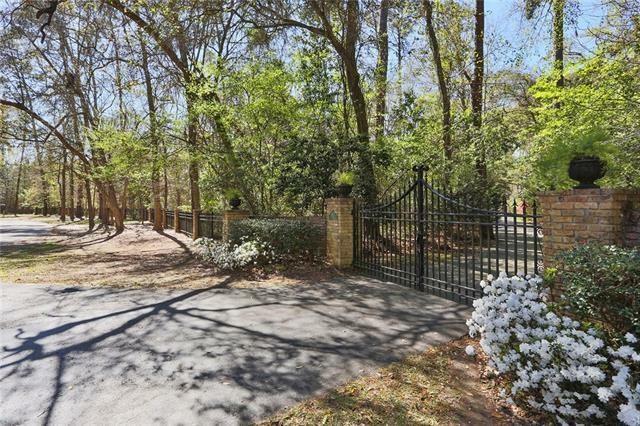 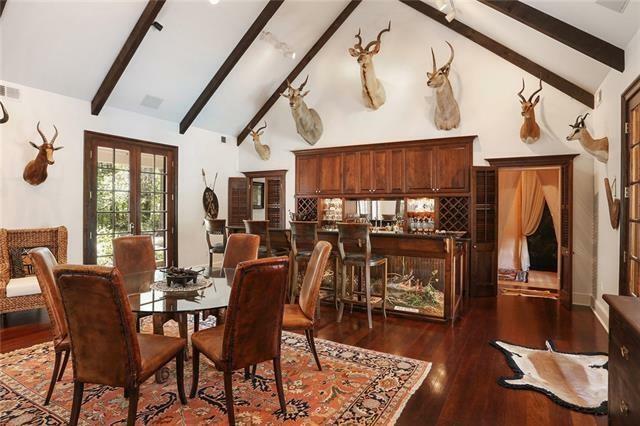 Gated private estate only minutes from Causeway, highest land south of I-12. 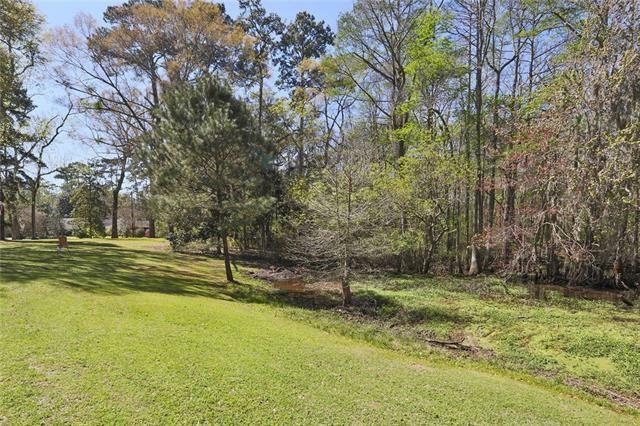 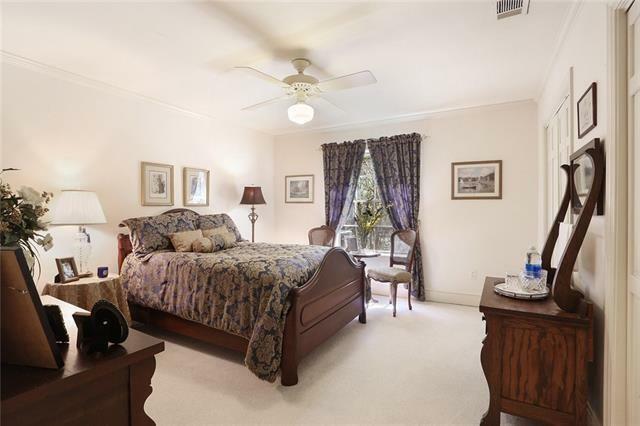 Lovely 3 bedrooms/2 full bath/3 half bath home w/covered porches features guest house w/recreation rm/office & bath. 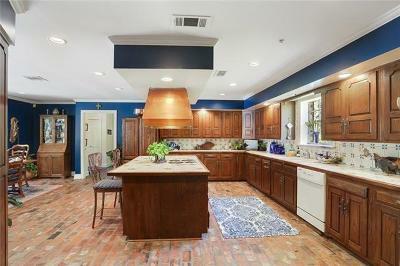 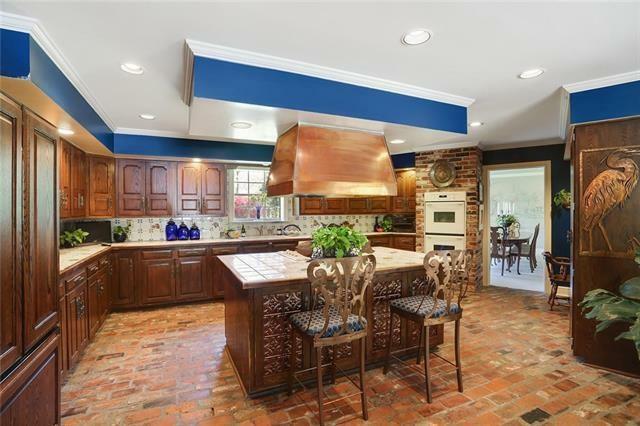 Gourmet kitchen for entertaining w/upscale app, brick flooring & custom cabinetry. 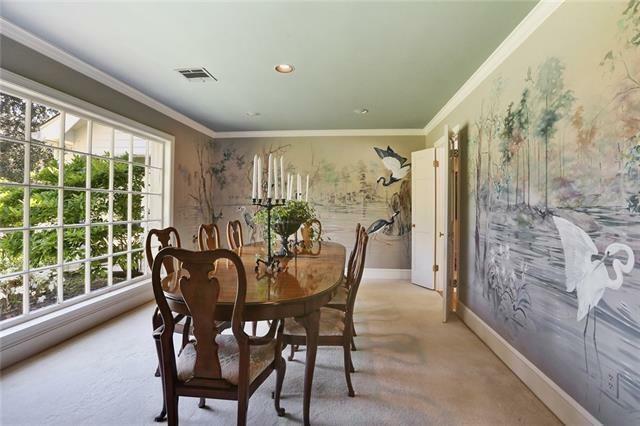 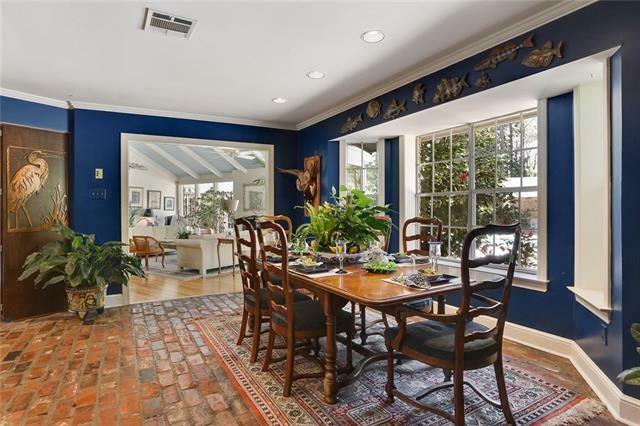 Dining accented by hand painted murals of Louisiana landscape. 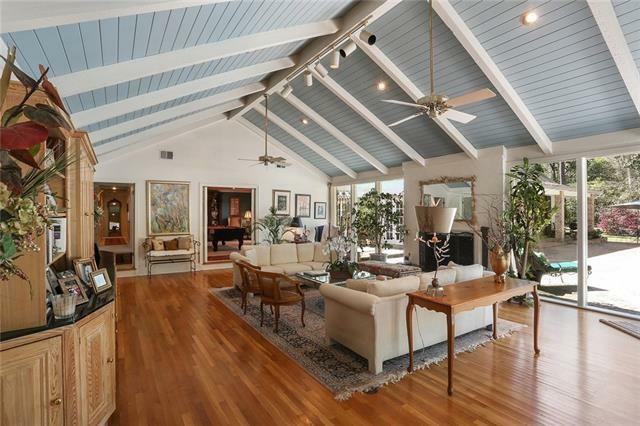 Windowed den highlighted by airy wood beam ceiling. 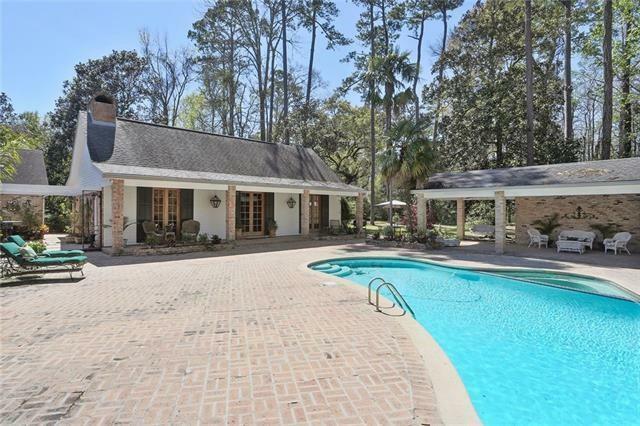 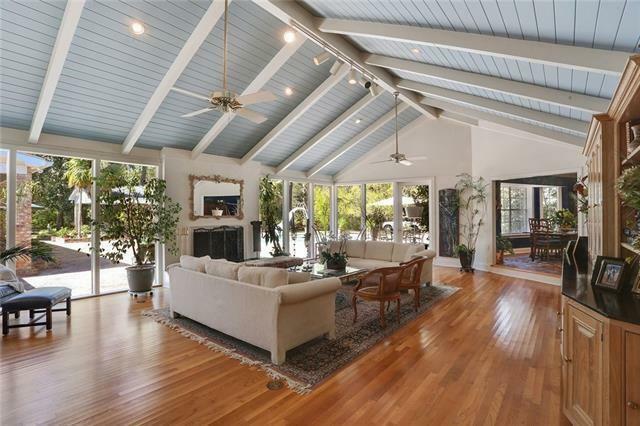 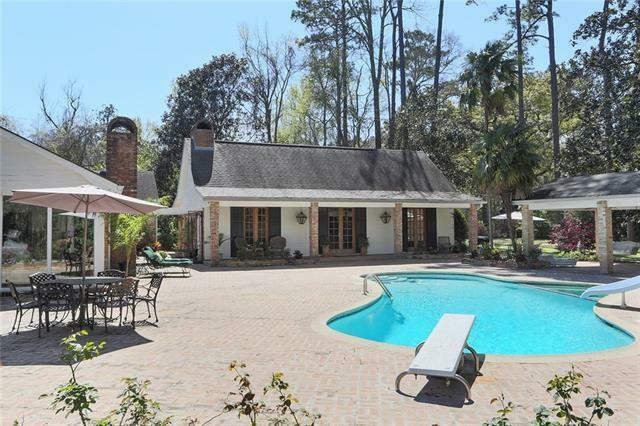 Relax by landscaped pool surrounded by 9.74 acres of trees & lush greenery. 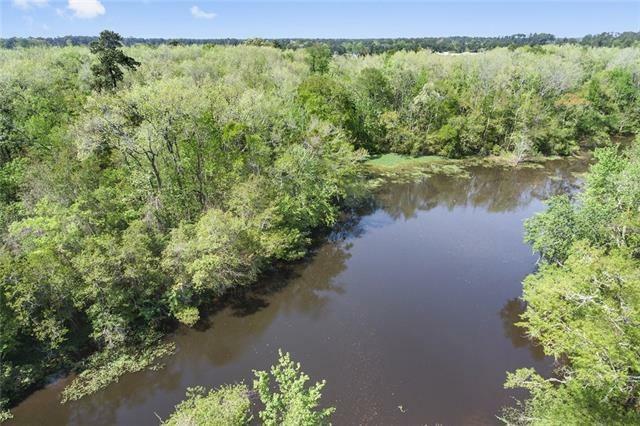 New flood zone determination C.